Lexi is a photographer, writer, chef, nutritionist, marketer and food advocate. She lives in Manhattan and Southampton and is available to photograph your product line, event, or create editorial photos for your magazine, website or book. Lexi's eye is versatile and elegant. Her visual style transitions with ease from rural to urban settings and from composed close-ups to chaotic city streets. Formerly a marketing executive, Lexi is an expert in food. 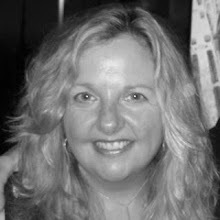 Her Lighthearted Locavore blog has 500 original recipes and articles; as well as thousands of eye-catching photos. Lexi has consulted with Welcome Books on Funny Food: 365 Fun, Healthy, Silly, Creative Breakfasts . Her writing and photography has been published in the Oxford Encyclopedia of Food and Drink in America, Mother Earth News, Huffington Post, and The Daily Meal. In 2014, Lexi's portraits of Alice Waters were featured in Edible Communications (Dallas, Hawaii, Columbus, Brooklyn); and, Slow Food USA's quarterly journal. Lexi is Board Secretary for the International Association of Culinary Professionals’ foundation, The Culinary Trust. She has worked at Pfizer, American Express, Citigroup, Ogilvy and Mather, and New York University’s School of Continuing and Professional Studies where she was an adjunct professor. Lexi has culinary and nutrition certifications from Institute of Culinary Education (formerly Peter Kump) and Institute for Integrative Nutrition, and is a graduate of Northwestern University’s Kellogg School of Management (MBA, Marketing) and Hobart and William Smith College (BA, English). A life-long photographer, Lexi has been taking photographs since she was 15 years old.